After graduating from high school, Akimoto performed in a Hawaiian band until marriage when she became a full-time housewife. She went back to doing music at the age of 40 when she was approached by her old-time friend. 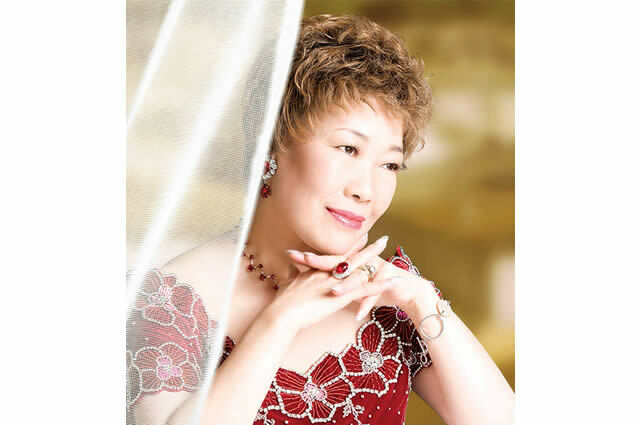 She made an indie debut from Tokuma Japan at the age of 57 with the song “Madison Gun no Koi”, which won her first place in the “Yuusen Otoiawase Ranking”. This caught the attention of some people, which led to her debut from the major label King Records. She was 58 at the time. Her hobby is driving. She is skillful in flower arrangement. She is credited under the name AJ singing “Owari Naki Tabi” included in the mini album “VOYAGE” released by CLIFF EDGE, a Hip Hop group who belong to the same label.